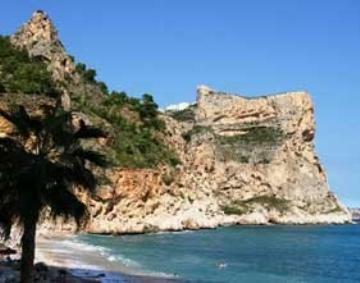 La Cumbre del sol is located on a dramatic stretch of coastline between the well known family resorts of Javea and Calpe on the Costa Blanca in Spain. La Cumbre del sol has a great beach and dramatic views of the spectacular cliffs overlooking the sea. There are lots of direct international flights to Alicante airport (ALC) 94km (around one hour and five minutes drive). Valencia airport 99km is another option. The climate in La Cumbre del sol is wonderful, sunny nearly all year round with a long warm summer period from April to October. It does get hot in July and August. We have 9 villas in La Cumbre del Sol.